I modified an existing Volusion template, redesigning the header to capture the company’s feel and changing link colors and boldness to ease navigation. 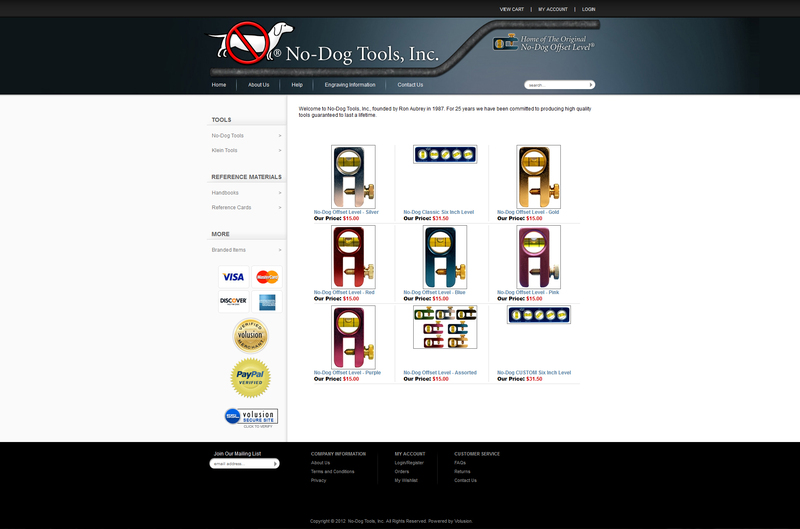 I took and edited all photos of No-Dog Tools products. 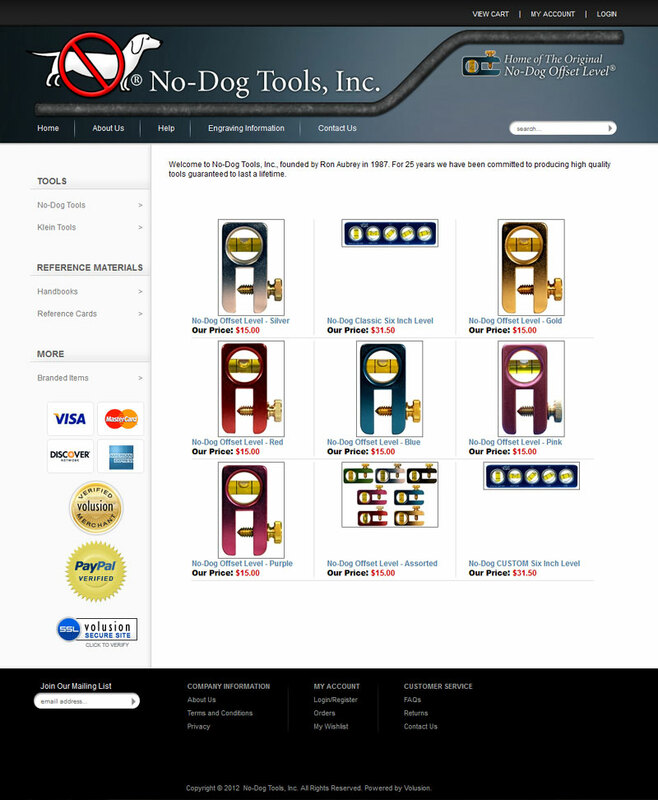 I wrote, rewrote, and edited the site copy, including the About Us page, the Engraving Information page, all product descriptions, and the help section. I did the initial setup of most site features, including billing and shipping settings, and I assisted the client in completing QuickBooks integration.